"Sunyata" redirects here. For other uses, see Sunyata (disambiguation). Śūnyatā (Sanskrit: शून्यता, translit. śūnyatā; Pali: suññatā) – pronounced in English as /ʃuːnˈjɑː.tɑː/ (shoon-ya-ta), translated most often as emptiness and sometimes voidness – is a Buddhist concept which has multiple meanings depending on its doctrinal context. It is either an ontological feature of reality, a meditative state, or a phenomenological analysis of experience. emptiness, voidness, openness, thusness, etc. In Theravada Buddhism, suññatā often refers to the non-self (Pāli: anattā, Sanskrit: anātman)[note 1] nature of the five aggregates of experience and the six sense spheres. Suññatā is also often used to refer to a meditative state or experience. In Mahayana, Sunyata refers to the tenet that "all things are empty of intrinsic existence and nature (svabhava),"  but may also refer to the Buddha-nature teachings and primordial or empty awareness, as in Dzogchen and Shentong. śūnya means "zero," "nothing," "empty" or "void" and derives from the root śvi, meaning "hollow"
The concept of Sunyata as "emptiness", states Sue Hamilton, is related to the concept of anatta in early Buddhism. Over time, many different philosophical schools or tenet-systems (Sanskrit: siddhānta) have developed within Buddhism in an effort to explain the exact philosophical meaning of emptiness. After the Buddha, emptiness was further developed by the Abhidharma schools, Nāgārjuna and the Mādhyamaka school, an early Mahāyāna school. Emptiness ("positively" interpreted) is also an important element of the Buddha nature literature, which played a formative role in the evolution of subsequent Mahāyāna doctrine and practice. A simile from the Pali scriptures (SN 22.95) compares form and feelings with foam and bubbles. The Pali canon uses the term emptiness in three ways: "(1) as a meditative dwelling, (2) as an attribute of objects, and (3) as a type of awareness-release." According to Bhikkhu Analayo, in the Pali canon "the adjective suñña occurs with a much higher frequency than the corresponding noun suññatā" and emphasizes seeing phenomena as 'being empty' instead of an abstract idea of "emptiness." One example of this usage is in the Pheṇapiṇḍūpama Sutta (SN 22:95), which states that on close inspection, each of the five aggregates are seen as being void (rittaka), hollow (tucchaka), coreless (asāraka). In the text a series of contemplations is given for each aggregate: form is like “a lump of foam” (pheṇapiṇḍa); sensation like “a water bubble” (bubbuḷa); perception like “a mirage” (marici); formations like “a plantain tree” (kadalik-khandha); and cognition is like “a magical illusion” (māyā). It is said that the world is empty, the world is empty, lord. In what respect is it said that the world is empty?" The Buddha replied, "Insofar as it is empty of a self or of anything pertaining to a self: Thus it is said, Ānanda, that the world is empty. Emptiness as a quality of dharmas, in the early canons, means simply that one cannot identify them as one's own self or having anything pertaining to one's own self ... Emptiness as a mental state, in the early canons, means a mode of perception in which one neither adds anything to nor takes anything away from what is present, noting simply, "There is this." This mode is achieved through a process of intense concentration, coupled with the insight that notes more and more subtle levels of the presence and absence of disturbance (see MN 121). Emptiness as a meditative state is said to be reached when "not attending to any themes, he [the bhikku] enters & remains in internal emptiness" (MN 122). This meditative dwelling is developed through the "four formless states" of meditation or Arūpajhānas and then through "themeless concentration of awareness." 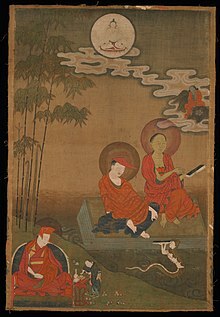 The Cūlasuññata-sutta (MN III 104) and the Mahāsuññata-sutta (MN III 109) outline how a monk can "dwell in emptiness" through a gradual step by step mental cultivation process, they both stress the importance of the impermanence of mental states and the absence of a self. The meaning of emptiness as contemplated here is explained at M I.297 and S IV.296-97 as the "emancipation of the mind by emptiness" (suññatā cetovimutti) being consequent upon the realization that "this world is empty of self or anything pertaining to self" (suññam idaṃ attena vā attaniyena vā). The term "emptiness" (suññatā) is also used in two suttas in the Majjhima Nikāya, in the context of a progression of mental states. The texts refer to each state's emptiness of the one below. The Chinese Agamas contain various parallels to the Pheṇapiṇḍūpama Sutta. One partial parallel from the Ekottara Agama describes the body with different metaphors: “a ball of snow”, “a heap of dirt”, “a mirage”, “an illusion” (māyā), or “an empty fist used to fool a child”. In a similar vein, the Mūla-Sarvāstivādin Māyājāla Sūtra, gives two sets of metaphors for each of the sensory consciousnesses to illustrate their vain illusory character. "What is the Dharma Discourse on Great Emptiness? It is this— ‘When this exists, that exists; when this arises, that arises.’"
The phrase "when this exists..." is a common gloss on dependent origination. Sarvāstivādin Agamas also speak of a certain emptiness samadhi (śūnyatāsamādhi) as well as stating that all dharmas are "classified as conventional". Mun-Keat Choong and Yin Shun have both published studies on the various uses of emptiness in the Early Buddhist Texts (Pali Canon and Chinese Agamas). Choong has also published a collection of translations of Agama sutras from the Chinese on the topic of emptiness. Many of the early Buddhist schools featured śūnyatā as an important part of their teachings. The Sarvastivadin school's Abhidharma texts like the Dharmaskandhapāda Śāstra, and the later Mahāvibhāṣa also take up the theme of emptiness vis a vis dependent origination as found in the Agamas. 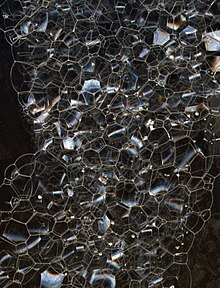 "has shown that the aggregates are like a lightning flash, as a bubble, or as the white foam on a wave." One of the main themes of Harivarman's Tattvasiddhi-Śāstra (3rd-4th century) is dharma-śūnyatā, the emptiness of phenomena. "When one who has great wisdom brings [volitional formations] to mind as not-self, he acquires the emptiness liberation" -Patis. II 58. Emptiness is a mode of perception, a way of looking at experience. It adds nothing to and takes nothing away from the raw data of physical and mental events. You look at events in the mind and the senses with no thought of whether there's anything lying behind them. This mode is called emptiness because it's empty of the presuppositions we usually add to experience to make sense of it: the stories and world-views we fashion to explain who we are and the world we live in. Although these stories and views have their uses, the Buddha found that some of the more abstract questions they raise — of our true identity and the reality of the world outside — pull attention away from a direct experience of how events influence one another in the immediate present. Thus they get in the way when we try to understand and solve the problem of suffering. Some Theravādins such as David Kalupahana, see Nagarjuna's view of emptiness as compatible with the Pali Canon. In his analysis of the Mulamadhyamikakarika, Kalupahana sees Nagarjuna's argument as rooted in the Kaccānagotta Sutta (which Nagarjuna cites by name). Kalupahana states that Nagarjuna's major goal was to discredit heterodox views of Svabhava (own-nature) held by the Sarvastivadins and establish the non-substantiality of all dharmas. According to Peter Harvey, the Theravāda view of dhammas and sabhava is not one of essences, but merely descriptive characteristics and hence is not the subject of Madhyamaka critique developed by Nagarjuna (see below). In Theravāda, emptiness as an approach to meditation is also seen as a state in which one is "empty of disturbance." This form of meditation is one in which meditators become concentrated and focus on the absence or presence of disturbances in their minds; if they find a disturbance they notice it and allow it to drop away; this leads to deeper states of calmness. Emptiness is also seen as a way to look at sense experience that does not identify with the "I-making" and "my-making" process of the mind. As a form of meditation, this is developed by perceiving the six sense spheres and their objects as empty of any self, this leads to a formless jhana of nothingness and a state of equanimity. Mathew Kosuta sees the Abhidhamma teachings of the modern Thai teacher Ajaan Sujin Boriharnwanaket as being very similar to the Mahayana emptiness view. There are two main sources of Indian Buddhist discussions of emptiness, the Mahayana sutra literature, which is traditionally believed to be the word of the Buddha in Mahayana Buddhism and the shastra literature, which was composed by Buddhist scholars and philosophers. 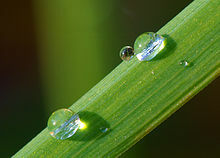 In the Prajñaparamita sutras, the emptiness of phenomena is often illustrated by metaphors like drops of dew. If he knows the five aggregates as like an illusion, But makes not illusion one thing, and the aggregates another; If, freed from the notion of multiple things, he courses in peace— Then that is his practice of wisdom, the highest perfection. In the Prajñāpāramitā sutras the knowledge of emptiness, i.e. prajñāpāramitā is said to be the fundamental virtue of the bodhisattva, who is said to stand on emptiness by not standing (-stha) on any other dharma (phenomena). Bodhisattvas who practice this perfection of wisdom are said to have several qualities such as the "not taking up" (aparigṛhīta) and non-apprehension (anupalabdhi) of anything, non-attainment (aprapti), not-settling down (anabhinivesa) and not relying on any signs (nimitta, mental impressions). Bodhisattvas are also said to be free of fear in the face of the ontological groundlessness of the emptiness doctrine which can easily shock others. Nāgārjuna and Āryadeva, two classic Indian philosophers of the Buddhist emptiness doctrine. Nāgārjuna's Mādhyamaka states that since things have the nature of lacking true existence or own being (niḥsvabhāva), all things are mere conceptual constructs (prajñaptimatra) because they are just impermanent collections of causes and conditions. Because of this, Mādhyamaka is also known as Niḥsvabhāvavāda. This also applies to the principle of causality itself, since everything is dependently originated. If one is unaware of this, things may seem to arise as existents, remain for a time and then subsequently perish. In reality, dependently originated phenomena do not arise or remain as inherently existent phenomena and yet they still appear as a flow of conceptual constructs. [note 5] Thus both existence and nihilism are ruled out. Any enduring essential nature would prevent the process of dependent origination, or any kind of origination at all. For things would simply always have been, and will always continue to be, without any change. [note 6] For Nāgārjuna, the realization of emptiness is a key understanding which allows one to reach liberation because it is nothing but the elimination of ignorance. There has been significant debate, both in ancient India and in modern scholarship, as to how to interpret Mādhyamaka and whether it is nihilistic (a claim that Mādhyamaka thinkers vehemently denied). Some scholars like F. Shcherbatskoy have also interpret emptiness as described by Nāgārjuna as a Buddhist transcendental absolute, while other scholars such as David Kalupahana consider this interpretation to be a mistake. According to Paul Williams, Nāgārjuna associates emptiness with the ultimate truth but his conception of emptiness is not some kind of Absolute, but rather it is the very absence of true existence with regards to the conventional reality of things and events in the world. For Nāgārjuna the phenomenal world is the limited truth (samvrtisatya) and does not really exist in the highest reality (paramarthasatya) and yet it has a kind of conventional reality which has its uses for reaching liberation. This limited truth includes everything, including the Buddha himself, the teachings (Dharma), liberation and even Nāgārjuna's own arguments. This two truth schema which did not deny the importance of convention allowed him to defend himself against charges of nihilism. Because of his philosophical work, Nāgārjuna is seen by some modern interpreters as restoring the Middle way of the Buddha, which had become influenced by absolutist metaphysical tendencies of schools like the Vaibhasika. Nāgārjuna is also famous for arguing that his philosophy of emptiness was not a view, and that he in fact did not take any position or thesis whatsoever since this would just be another form of clinging. In his Vigrahavyavartani Nāgārjuna outright states that he has no thesis (pratijña) to prove. This idea would become a central point of debate for later Mādhyamaka philosophers. After Nāgārjuna, his pupil Āryadeva (3rd century CE) commented and expanded Nāgārjuna's system. An influential commentator on Nāgārjuna was Buddhapālita (470–550) who has been interpreted as developing the 'prāsaṅgika' approach to Nāgārjuna's works, which argues that Madhyamaka critiques of essentialism are done only through reductio ad absurdum arguments. Like Nāgārjuna, instead of putting forth any positive position of his own, Buddhapālita merely seeks to show how all philosophical positions are untenable and self contradictory without putting forth a positive thesis. Buddhapālita is often contrasted with the works of Bhāvaviveka (c. 500 – c. 578), who argued for the use of logical arguments using the pramana based epistemology of Indian logicians like Dignāga. Bhāvaviveka argued that Madhyamika's could put forth positive arguments of one's own, instead of just criticizing other's arguments, a tactic called vitaṇḍā (attacking) which was seen in bad form in Indian philosophical circles. He argued that the position of a Mādhyamaka was simply that phenomena are devoid of inherent nature. This approach has been labeled the svātantrika style of Madhyamaka by Tibetan philosophers and commentators. Another influential commentator, Candrakīrti (c. 600–650), critiqued Bhāvaviveka's adoption of the pramana tradition on the grounds that it contained a subtle essentialism and argued that Mādhyamikas must make no positive assertions and need not construct formal arguments. There exists the imagination of the unreal, there is no duality, but there is emptiness, even in this there is that. In his commentary, the Indian Yogācāra philosopher Vasubandhu explains that imagination of the unreal (abhūta-parikalpa) is the "discrimination between the duality of grasped and grasper." Emptiness is said to be "the imagination of the unreal that is lacking in the form of being graspable or grasper." Thus in Yogacara, it can be said that emptiness is mainly that subject and object and all experiences which are seen in the subject-object modality are empty. According to Yogācāra thought, everything we conceive of is the result of the working of the Eight Consciousnesses. [note 7] The "things" we are conscious of are "mere concepts" (vijñapti), not 'the thing in itself'. In this sense, our experiences are empty and false, they do not reveal the true nature of things as an enlightened person would see them, which would be non-dual, without the imputed subject object distinction. Thus, when something is absent [in a receptacle], then one, seeing that [receptacle] as devoid of that thing, perceives that [receptacle] as it is, and recognises that [receptacle], which is left over, as it is, namely as something truly existing there. Emptiness is logical when one thing is devoid of another because of that [other's] absence and because of the presence of the empty thing itself. The nonexistence of duality is indeed the existence of nonexistence; this is the definition of emptiness. It is neither existence, nor nonexistence, neither different nor identical. This "existence of nonexistence" definition of emptiness can also be seen in Asaṅga's Abhidharmasamuccaya where he states that emptiness is "the non-existence of the self, and the existence of the no-self." In the sixth century, scholarly debates between Yogacarins and Madhyamikas centered on the status and reality of the paratantra-svabhāva (the "dependent nature"), with Madhyamika's like Bhāvaviveka criticizing the views of Yogacarins like Dharmapāla of Nalanda as reifying dependent origination. An influential division of 1st-millennium CE Buddhist texts develop the notion of Tathāgatagarbha or Buddha-nature. The Tathāgatagarbha doctrine, at its earliest probably appeared about the later part of the 3rd century CE, and is verifiable in Chinese translations of 1st millennium CE. The Tathāgatagarbha is the topic of the Tathāgatagarbha sūtras, where the title itself means a garbha (womb, matrix, seed) containing Tathāgata (Buddha). In the Tathāgatagarbha sūtras' the perfection of the wisdom of not-self is stated to be the true self. The ultimate goal of the path is characterized using a range of positive language that had been used in Indian philosophy previously by essentialist philosophers, but which was now transmuted into a new Buddhist vocabulary to describe a being who has successfully completed the Buddhist path. These Sutras suggest, states Paul Williams, that 'all sentient beings contain a Tathāgata as their 'essence, core or essential inner nature'. They also present a further developed understanding of emptiness, wherein the Buddha Nature, the Buddha and Liberation are seen as transcending the realm of emptiness, i.e. of the conditioned and dependently originated phenomena. The Śrīmālā Sūtra is one of the earliest texts on Tathāgatagarbha thought, composed in 3rd century in south India, according to Brian Brown. It asserted that everyone can potentially attain Buddhahood, and warns against the doctrine of Sunyata. The Śrīmālā Sūtra posits that the Buddha-nature is ultimately identifiable as the supramundane nature of the Buddha, the garbha is the ground for Buddha-nature, this nature is unborn and undying, has ultimate existence, has no beginning nor end, is nondual, and permanent. The text also adds that the garbha has "no self, soul or personality" and "incomprehensible to anyone distracted by sunyata (voidness)"; rather it is the support for phenomenal existence. The notion of Buddha-nature and its interpretation was and continues to be widely debated in all schools of Mahayana Buddhism. Some traditions interpret the doctrine to be equivalent to emptiness (like the Tibetan Gelug school), the positive language of the texts Tathāgatagarbha sutras are then interpreted as being of provisional meaning, and not ultimately true. Other schools however (mainly the Jonang school), see Tathāgatagarbha as being an ultimate teaching and see it as an eternal, true self, while Sunyata is seen as a provisional, lower teaching. Likewise, western scholars have been divided in their interpretation of the Tathāgatagarbha, since the doctrine of an 'essential nature' in every living being appears to be confusing, since it seems to be equivalent to a 'Self',[note 8] which seems to contradict the doctrines in a vast majority of Buddhist texts. Some scholars, however, view such teachings as metaphorical, not to be taken literally. According to some scholars, the Buddha nature which these sutras discuss, does not represent a substantial self (ātman). Rather, it is a positive expression of emptiness, and represents the potentiality to realize Buddhahood through Buddhist practices. In this view, the intention of the teaching of Buddha nature is soteriological rather than theoretical. According to others, the potential of salvation depends on the ontological reality of a salvific, abiding core reality — the Buddha-nature, empty of all mutability and error, fully present within all beings. Japanese scholars of the "Critical Buddhism" movement meanwhile see Buddha-nature as an essentialist and thus an un-Buddhist idea. In Tibetan Buddhism, emptiness is often symbolized by and compared to the open sky which is associated with openness and freedom. In Tibetan Buddhism, emptiness (Wylie: stong-pa nyid) is mainly interpreted through the lens of Mādhyamaka philosophy, though the Yogacara and Tathāgatagarbha influenced interpretations are also influential. The interpretations of the Indian Mādhyamaka philosopher Candrakīrti are the dominant views on emptiness in Tibetan Buddhist philosophy. In Tibet, a distinction also began to be made between the Autonomist (Svātantrika, rang rgyud pa) and Consequentialist (Prāsaṅgika, thal ’gyur pa) approaches to Mādhyamaka reasoning about emptiness. The distinction was invented by Tibetan scholarship, and not one made by classical Indian Madhyamikas. Further Tibetan philosophical developments began in response to the works of the influential scholar Dolpopa (1292–1361) and led to two distinctly opposed Tibetan Mādhyamaka views on the nature of emptiness and ultimate reality. One of these is the view termed shentong (Wylie: gzhan stong, other empty), which is a further development of Indian Yogacara-Madhyamaka and the Buddha-nature teachings by Dolpopa, and is primarily promoted in the Jonang school but also by some Kagyu figures like Jamgon Kongtrul. This view states that ultimate reality is empty of the conventional, but it is itself not empty of being ultimate Buddhahood and the luminous nature of mind. Dolpopa considered his view a form of Mādhyamaka, and called his system "Great Mādhyamaka". In Jonang, this ultimate reality is a "ground or substratum" which is "uncreated and indestructible, noncomposite and beyond the chain of dependent origination." Dolpopa was roundly critiqued for his claims about emptiness and his view that they were a kind of Mādhyamaka. His critics include Tibetan philosophers such as the founder of the Gelug school Je Tsongkhapa (1357–1419) and Mikyö Dorje, the 8th Karmapa of the Karma Kagyu (1507–1554). Rangtong (Wylie: rang stong; self-empty) refers to views which oppose shentong and state that ultimate reality is that which is empty of self nature in a relative and absolute sense; that is to say ultimate reality is empty of everything, including itself. It is thus not a transcendental ground or metaphysical absolute, but just the absence of true existence (svabhava). This view has sometimes been applied to the Gelug school because they tend to hold that emptiness is "an absolute negation" (med dgag). However many Tibetan philosophers reject these terms as descriptions of their views on emptiness. The Sakya thinker Gorampa Sonam Senge (1429-1489) for example, called his version of Mādhyamaka, "freedom from extremes" or "freedom from proliferations" (spros bral) and claimed that the ultimate truth was ineffable, beyond predication or concept. For Gorampa, emptiness is not just the absence of inherent existence, but it is the absence of the four extremes in all phenomena i.e. existence, nonexistence, both and neither (see: catuskoti). According to the theory of emptiness, any belief in an objective reality grounded in the assumption of intrinsic, independent existence is simply untenable. All things and events, whether 'material', mental or even abstract concepts like time, are devoid of objective, independent existence ... [T]hings and events are 'empty' in that they can never possess any immutable essence, intrinsic reality or absolute 'being' that affords independence. When Buddhism was introduced in China it was initially understood in terms of indigenous Chinese philosophical culture. Because of this, emptiness (Ch., kong, 空;) was at first understood as pointing to a kind of transcendental reality similar to the Tao. It took several centuries to realize that śūnyatā does not refer to an essential transcendental reality underneath or behind the world of appearances. Chinese Mādhyamaka (known as Sānlùn, or the "three treatise school") began with the work of Kumārajīva (344–413 CE) who translated the works of Nāgārjuna into Chinese. Sānlùn figures like Kumārajīva's pupil Sengzhao (384–414), and the later Jizang (549–623) were influential in introducing a more orthodox and non-essentialist interpretation of emptiness to Chinese Buddhism. Sengzhao argues for example, that the nature of phenomena could not be said to be either existent or non-existent and that it was necessary to go beyond conceptual proliferation to realize emptiness. Jizang (549–623) was another central figure in Chinese Madhyamaka who wrote numerous commentaries on Nāgārjuna and Aryadeva and is considered to be the leading representative of the school. Jizang called his method "deconstructing what is misleading and revealing what is corrective". He insisted that one must never settle on any particular viewpoint or perspective but constantly reexamine one's formulations to avoid reifications of thought and behavior. In the modern era, one major Chinese figure who has written on Mādhyamaka is the scholar monk Yin Shun (1906–2005). Later Chinese philosophers developed their own unique interpretations of emptiness. One of these was Zhiyi, the intellectual founder of the Tiantai school who was strongly influenced by the Lotus sutra. The Tiantai view of emptiness and dependent origination is inseparable from their view of the "interfusion of phenomena" and the idea that the ultimate reality is an absolute totality of all particular things which are "Neither-Same-Nor-Different" from each other. In Tiantai metaphysics, every event, function, or characteristic is the product of the interfusion of all others, the whole is in the particular and every particular event/function is also in every other particular. This also leads to the conclusion that all phenomena are "findable" in each and every other phenomena, even seemingly conflicting phenomena such as good and evil, or delusion and enlightenment are interfused with each other. The Huayan school understood emptiness and ultimate reality through the similar idea of interpenetration or "coalescence" (Wylie: zung-'jug; Sanskrit: yuganaddha), using the concept of Indra's net to illustrate this. "The field of boundless emptiness is what exists from the very beginning. You must purify, cure, grind down, or brush away all the tendencies you have fabricated into apparent habits. [Those tendencies are the clouds in our eyes.] Then you can reside in a clear circle of brightness. Utter emptiness has no image. Upright independence does not rely on anything. Just expand and illuminate the original truth unconcerned by external conditions. Accordingly, we are told to realize that not a single thing exists. In this field birth and death do not appear. The deep source, transparent down to the bottom, can radiantly shine and can respond unencumbered to each speck of dust [each object] without becoming its partner. The subtlety of seeing and hearing transcends mere colors and sounds. The whole affair functions without leaving traces and mirrors without obscurations. Very naturally, mind and Dharmas emerge and harmonize." The Tiantai and Huayan views of emptiness as interpenetration and interconnection also influenced the views of the Chan school, and is still discernible in modern Zen. One modern figure who has adopted an interpretation of emptiness influenced by these two schools is Thich Nhat Hanh, who explains emptiness through the similar idea of "Interbeing". "Utpāda" means "genesis", "coming forth", "birth"
Taken together "anutpāda" means "having no origin", "not coming into existence", "not taking effect", "non-production". But Gaudapada's perspective is quite different from Nagarjuna. Gaudapada's perspective found in Mandukya Karika is based on the Mandukya Upanishad. According to Gaudapada, the metaphysical absolute called Brahman never changes, while the phenomenal world changes continuously, so the phenomenal world cannot arise independently from Brahman. If the world cannot arise, yet is an empirical fact, than the perceived world has to be a transitory (unreal) appearance of Brahman. And if the phenomenal world is a transitory appearance, then there is no real origination or destruction, only apparent origination or destruction. From the level of ultimate truth (paramārthatā) the phenomenal world is māyā, "illusion", apparently existing but ultimately not metaphysically real. When the mind does not lie low, and is not again tossed about, then that being without movement, and not presenting any appearance, culminates into Brahman. Resting in itself, calm, with Nirvana, indescribable, highest happiness, unborn and one with the unborn knowable, omniscient they say. No creature whatever is born, no origination of it exists or takes place. This is that highest truth where nothing whatever is born. In contrast to Renard's view, Karmarkar states the Ajativada of Gaudapada has nothing in common with the Śūnyatā concept in Buddhism. While the language of Gaudapada is undeniably similar to those found in Mahayana Buddhism, states Comans, their perspective is different because unlike Buddhism, Gaudapada is relying on the premise of "Brahman, Atman or Turiya" exist and are the nature of absolute reality. "The Absolute void is Bhairava who is beyond the senses and the mind, beyond all the categories of these instruments. From the point of view of the human mins, He is most void. from the point of view of Reality, He is most full, for He is the source of all manifestation." "The yogi should concentrate intensely on the idea (and also feel) that this universe is totally void. In that void, his mind would become absorbed. Then he becomes highly qualified for absorption i.e. his mind is absorbed in the absolute void (sunyatisunya)." In a series of Kannada language texts of Lingayatism, a Shaivism tradition, shunya is equated to the concept of the Supreme. In particular, the Shunya Sampadane texts present the ideas of Allama Prabhu in a form of dialogue, where shunya is that void and distinctions which a spiritual journey seeks to fill and eliminate. It is the described as a state of union of one's soul with the infinite Shiva, the state of blissful moksha. Shunya Brahma is a concept found in certain texts of Vaishnavism, particularly in Odiya, such as the poetic Panchasakhas. It explains the Nirguna Brahman idea of Vedanta, that is the eternal unchanging metaphysical reality as "personified void". Alternate names for this concept of Hinduism, include shunya purusha and Jagannatha (Vishnu) in certain text. However, both in Lingayatism and various flavors of Vaishnavism such as Mahima Dharma, the idea of Shunya is closer to the Hindu concept of metaphysical Brahman, rather than to the Śūnyatā concept of Buddhism. However, there is some overlap, such as in the works of Bhima Bhoi. nāhi tāhāra rūpa varṇa, adṛsha avarṇa tā cinha. tāhāku brahmā boli kahi, śūnya brahmhati se bolāi. The Panchasakhas practiced a form of Bhakti called Jnana-mishrita Bhakti-marga, which saw the necessity of knowledge (Jnana) and devotion - Bhakti. ^ A common translation is "no-self", without a self, but the Pali canon uses anattā as a singular substantive, meaning "not-self". ^ Original: "Rupan śūnyatā śūnyatāiva rupan. Rupan na prithak śūnyatā śūnyatā na prithag rupan. Yad rupan sa śūnyatā ya śūnyatā tad rupan." ^ The Five Skandhas are: Form, Feeling, Perceptions, Mental Formations and Consciousness. ^ Chapter 21 of the Mūlamadhyamakakārikā goes into the reasoning behind this. ^ Translations do differ, which makes a difference. Vijñāna can be translated as "consciousness", but also as "discernement". ^ Paul Williams: "Some texts of the tathagatagarbha literature, such as the Mahaparinirvana Sutra actually refer to an atman, though other texts are careful to avoid the term. This would be in direct opposition to the general teachings of Buddhism on anatta. Indeed, the distinctions between the general Indian concept of atman and the popular Buddhist concept of Buddha-nature are often blurred to the point that writers consider them to be synonymous." * John Snelling: "At the core of Mahayana philosophy lies the notion of Emptiness: Shunyata. This is very much in the spirit of anatta (Skt. anatman) as first taught by the Buddha. It is often used to imply, not mere or sheer nothingness (that would be the nihilistic view), but 'emptiness of inherent existence; that is, the absence of any kind of enduring or self-sustaining essence. There is also a sense in which it has connotations of 'conceptual emptiness': absence of thoughts. It could be regarded too as a non-term signifying the ineffable understanding arising within the practice of meditation. Although seemingly negative, it also has its positive uses - and of course ultimately points beyond the positive negative dichotomy." - openness and space as grounf of being. * Nigel Wellings:[web 1] "Thus we have two types of emptiness, the emptiness of self in the skandhas that reveals the absence of an empirical and metaphysical self. And the emptiness of the self in Nirvâ.na that reveals nothing of the empirical self existing within the Nirvâ.na consciousness. All appearances are empty, in that they can be destroyed or extinguished in some way [...] The whole universe vanishes at some point, destroyed by the seven fires and one immense deluge. In this way, all appearances are empty. ^ The term is also used in the Laṅkāvatāra Sūtra. According to D.T Suzuki, "anutpada" is not the opposite of "utpada", but transcends opposites. It is kenshō, seeing into the true nature of existence, the seeing that "all objects are without self-substance [Sunyata]". ^ Dale Mathers; Melvin E. Miller; Osamu Ando (2013). Self and No-Self: Continuing the Dialogue Between Buddhism and Psychotherapy. Routledge. p. 81. ISBN 978-1-317-72386-8. ^ Bronkhorst 2009, p. 124. ^ Paul Williams (2008). Mahayana Buddhism: The Doctrinal Foundations. Routledge. pp. 68–69. ISBN 978-1-134-25056-1. ^ Christopher W. Gowans (2014). Buddhist Moral Philosophy: An Introduction. Routledge. pp. 69–70. ISBN 978-1-317-65934-1. ^ Monier-Williams, Sir Monier (2nd edn, 1899) A Sanskrit-English Dictionary. Reprinted Motilal Banarsidass, Delhi 1986: p.1085. ^ Sue Hamilton (2000). Early Buddhism: A New Approach : the I of the Beholder. Routledge. pp. 21–27. ISBN 978-0-7007-1357-8. ^ Analayo, Bhikkhu (2012). Excursions into the Thought-World of the Pali Discourses. Pariyatti. p. 272. ISBN 9781928706984. ^ a b c d Shi Huifeng, Is "Illusion" a Prajñāpāramitā Creation? The Birth and Death of a Buddhist Cognitive Metaphor, Fo Guang University, Journal of Buddhist Philosophy , Vol.2, 2016. ^ Thanissaro Bhikku, The Buddhist Religions: An Historical Introduction, P 96. ^ MN 43 and SN 41.7. See, e.g., respectively, Thanissaro Bhikkhu (trans.) (2006), "MN 43 Mahavedalla Sutta: The Greater Set of Questions-and-Answers," retrieved February 4, 2009 from "Access to Insight"
^ Thanissaro Bhikkhu (trans.) (2004), "SN 41.7 Godatta Sutta: To Godatta (On Awareness-release)," retrieved February 4, 2009 from "Access to Insight"
^ MN 121 and MN 122. See, e.g., respectively, Thanissaro (1997a) and Thanissaro (1997b). ^ a b Shi Huifeng, Is "Illusion" a Prajñāpāramitā Creation? The Birth and Death of a Buddhist Cognitive Metaphor, Fo Guang University, Journal of Buddhist Philosophy , Vol.2, 2016. ^ Shì hùifēng, “Dependent Origination = Emptiness”—Nāgārjuna’s Innovation? An Examination of the Early and Mainstream Sectarian Textual Sources, page 28. ^ Shì hùifēng, “Dependent Origination = Emptiness”—Nāgārjuna’s Innovation? An Examination of the Early and Mainstream Sectarian Textual Sources, page 22, 27. ^ Choong, Mun-Keat; The Notion of Emptiness in Early Buddhism, Motilal Banarsidass Publishe, 1999. ^ Choong; Annotated Translation of Sutras from the Chinese Samyuktagama relevant to the Early Buddhist Teachings on Emptiness and the Middle Way (2004; second edition, International Buddhist College, Thailand, 2010. ^ Shì hùifēng, “Dependent Origination = Emptiness”—Nāgārjuna’s Innovation? An Examination of the Early and Mainstream Sectarian Textual Sources, page 36. ^ Kalupahana, D. Mulamadhyamakakarika of nagarjuna, page 26. ^ Harvey, Peter. Introduction to Buddhism, page 87. ^ Williams, Paul. Buddhist Thought. Routledge, 2000, pages 68, 134-5. ^ Williams, Paul. Mahayana Buddhism: The Doctrinal Foundations 2nd edition. Routledge, 2009, pages 52-3. ^ Williams, Paul. Mahayana Buddhism: The Doctrinal Foundations 2nd edition. Routledge, 2009, pages 50. ^ Orsborn, Matthew Bryan. “Chiasmus in the Early Prajñāpāramitā: Literary Parallelism Connecting Criticism & Hermeneutics in an Early Mahāyāna Sūtra”, University of Hong Kong , 2012, page 165-66. ^ "The Diamond of Perfect Wisdom Sutra". Chung Tai Translation Committee. ^ Kalupahan 1994, p. 160-169. ^ "No wisdom can we get hold of, no highest perfection, No Bodhisattva, no thought of enlightenment either. When told of this, if not bewildered and in no way anxious, A Bodhisattva courses in the Well-Gone’s [Sugata’s] wisdom." (Conze 1973a: 9) quoted in Williams, Paul. Mahayana Buddhism: The Doctrinal Foundations 2nd edition.Routledge, 2009, pages 50. ^ "Even Nirvana, I say, is like a magical illusion, is like a dream. How much more so anything else! …Even if perchance there could be anything more distinguished, of that too I would say that it is like an illusion, like a dream." (trans. Conze: 99) quoted in Williams, Paul, and Anthony J. Tribe. Buddhist Thought: A Complete Introduction to the Indian Tradition. London: Routledge, 2000, p 135. ^ "The Heart Sutra Prajna Paramita Hrydaya Sutra". Buddhanet.net. Retrieved 2013-02-04. ^ Orsborn, Matthew Bryan. “Chiasmus in the Early Prajñāpāramitā: Literary Parallelism Connecting Criticism & Hermeneutics in an Early Mahāyāna Sūtra”, University of Hong Kong , 2012, page 180-81. ^ Orsborn, Matthew Bryan. “Chiasmus in the Early Prajñāpāramitā: Literary Parallelism Connecting Criticism & Hermeneutics in an Early Mahāyāna Sūtra”, University of Hong Kong , 2012, page 139-40. ^ Williams, Paul (2000). Buddhist Thought Routledge, p140. ^ Wynne, Alexander, Early Buddhist Teaching as Proto-sunyavada. ^ Wasler, Joseph. Nagarjuna in Context. New York: Columibia University Press. 2005, pgs. 225-263. ^ a b Kalupahana 1992, p. 120. ^ Tsondru, Mabja. Ornament of Reason. Snow Lion Publications. 2011, pages 66-71, 447-477. ^ Williams, Paul, Buddhist Thought: A Complete Introduction to the Indian Tradition, 2002, p 142. ^ Bronkhorst (2009), p. 146. ^ Williams, Paul, Buddhist Thought: A Complete Introduction to the Indian Tradition, 2002, p 141. ^ Williams, Paul. Buddhist Thought. Routledge 2000, page 142. ^ a b Tsondru, Mabja. Ornament of Reason. Snow Lion Publications. 2011, pages 56-58, 405-417. ^ Williams, Paul, Buddhist Thought: A Complete Introduction to the Indian Tradition, 2002, p 151-152. ^ Tsondru, Mabja. Ornament of Reason. Snow Lion Publications. 2011, pages 40-41, 322-333. ^ Junjirō Takakusu (1998). The Essentials of Buddhist Philosophy. Motilal Banarsidass. pp. 4, 105–107. ISBN 978-81-208-1592-6. ^ Hajime Nakamura (1991). Ways of Thinking of Eastern Peoples: India, China, Tibet, Japan. Motilal Banarsidass. pp. 590–591 footnote 20. ISBN 978-81-208-0764-8. , Quote: "Already in India, 'sunyata' was liable to be misunderstood as nothingness or nihil'. (...) The Sarvastivadins of Hinayana Buddhism viewed the Madhyamika school as 'one that argues that everything is nothing. (...) It is only natural that most of the Western scholars call the prajnaparamita sutra or the doctrine of the Madhyamika school nihilism since criticisms were already expressed in India. Against such criticisms, however, Nagarjuna, founder of the Madhyamika school says, 'you are ignorant of the function of sunyata, the meaning of the sunyata and sunyata itself'." ^ G. C. Nayak (2001). Mādhyamika Śūnyatā, a Reappraisal: A Reappraisal of Mādhyamika Philosophical Enterprise with Special Reference to Nāgārjuna and Chandrakīrti. Indian Council of Philosophical Research. pp. 9–12. ISBN 978-81-85636-47-4. ^ Jorge Noguera Ferrer, Revisioning Transpersonal Theory: A Participatory Vision of Human Spirituality. SUNY Press, 2002, page 102-103. ^ David J. Kalupahana, Mulamadhyamakakarika of Nagarjuna: The Philosophy of the Middle Way. SUNY Press, 1986, pages 48-50. ^ Williams, Paul, Buddhist Thought: A Complete Introduction to the Indian Tradition, 2002, p 147. ^ Bronkhorst (2009), p. 149. ^ Williams, Paul, Buddhist Thought: A Complete Introduction to the Indian Tradition, 2002, p 146. ^ a b Hayes, Richard, "Madhyamaka", The Stanford Encyclopedia of Philosophy (Spring 2017 Edition), Edward N. Zalta (ed. ), URL = <https://plato.stanford.edu/archives/spr2017/entries/madhyamaka/>. ^ a b c d e f g h i King, Richard, Early Yogācāra and its Relationship with the Madhyamaka School, Philosophy East & West Volume 44, Number 4 October 1994 PP.659-683. ^ a b Kalupahana 1992. ^ Paul Williams (2008). Mahayana Buddhism: The Doctrinal Foundations. Routledge. pp. 103–109. ISBN 978-1-134-25056-1. ^ S. K. Hookham (1991). The Buddha Within: Tathagatagarbha Doctrine According to the Shentong Interpretation of the Ratnagotravibhaga. State University of New York Press. pp. 100–104. ISBN 978-0-7914-0357-0. ^ a b Paul Williams (2008). Mahayana Buddhism: The Doctrinal Foundations. Routledge. p. 104. ISBN 978-1-134-25056-1. ^ a b Hopkins 2006. ^ Hopkins 2006, p. 210. ^ Brian Edward Brown (1991). The Buddha Nature: A Study of the Tathāgatagarbha and Ālayavijñāna. Motilal Banarsidass. pp. 3–4. ISBN 978-81-208-0631-3. ^ Brian Edward Brown (1991). The Buddha Nature: A Study of the Tathāgatagarbha and Ālayavijñāna. Motilal Banarsidass. pp. 4–5. ISBN 978-81-208-0631-3. ^ Brian Edward Brown (1991). The Buddha Nature: A Study of the Tathāgatagarbha and Ālayavijñāna. Motilal Banarsidass. pp. 5–7, 32. ISBN 978-81-208-0631-3. ^ Paul Williams (2008). Mahayana Buddhism: The Doctrinal Foundations. Routledge. pp. 112–115. ISBN 978-1-134-25056-1. ^ Paul Williams (2008). Mahayana Buddhism: The Doctrinal Foundations. Routledge. pp. 104–105, 108. ISBN 978-1-134-25056-1. ^ Merv Fowler (1999). Buddhism: Beliefs and Practices. Sussex Academic Press. pp. 101–102. ISBN 978-1-898723-66-0. ^ Heng-Ching Shih. "The Significance Of 'Tathagatagarbha' —- A Positive Expression Of Sunyata". Archived from the original on 2013-08-07. ^ King, Sallie B. "The Doctrine of Buddha Nature is Impeccably Buddhist. In: Jamie Hubbard (ed. ), Pruning the Bodhi Tree: The Storm Over Critical Buddhism, Univ of Hawaii Press 1997, pp. 174-192. ISBN 0824819497" (PDF). Archived from the original (PDF) on 2007-09-27. ^ Vessantara; Meeting the Buddhas: A Guide to Buddhas, Bodhisattvas, and Tantric Deities. "They [conditioned things] are sky-like, and un-graspable, like clouds." ^ Dunne, John D. (2011). "Madhyamaka in India and Tibet." In Oxford Handbook of World Philosophy.” Edited by J. Garfield and W. Edelglass. Oxford: Oxford University Press: 206-221. ^ Brunnholzl, 2004, page 333. ^ Cornu 2001, p. 145, 150. ^ Stearns, Cyrus (2010). The Buddha from Dölpo: A Study of the Life and Thought of the Tibetan Master Dölpopa Sherab Gyaltsen(Rev. and enl. ed.). Ithaca, NY: Snow Lion Publications. ISBN 9781559393430. Retrieved 2 May 2015. ^ Brunnholzl, Karl, Luminous Heart: The Third Karmapa on Consciousness, Wisdom, and Buddha Nature, p 108. ^ Brunnholzl, 2004, page 502. ^ Stearns, Cyrus (1999), The Buddha from Dolpo: A Study of the Life and Thought of the Tibetan Master Dolpopa Sherab Gyaltsen, State University of New York Press, p. 82. ^ Brunnholzl, 2004, page 446..
^ Cabezón, José Ignacio; Lobsang Dargyay, Freedom from Extremes Gorampa's "Distinguishing the Views" and the Polemics of Emptiness (Part of Studies in Indian and Tibetan Buddhism), p. 46-48. ^ Cabezón, José Ignacio; Lobsang Dargyay, Freedom from Extremes Gorampa's "Distinguishing the Views" and the Polemics of Emptiness (Part of Studies in Indian and Tibetan Buddhism), p. 50. ^ a b Lai & Year unknown. ^ a b Fox, Alan, Self-reflection in the Sanlun Tradition: Madhyamika as the "Deconstructive Conscience" of Buddhism, Journal of Chinese Philosophy V. 19 (1992) pp. 1-24. ^ Ziporyn, Brook, "Tiantai Buddhism", The Stanford Encyclopedia of Philosophy (Winter 2014 Edition), Edward N. Zalta (ed. ), URL = <http://plato.stanford.edu/archives/win2014/entries/buddhism-tiantai/>. ^ Ziporyn, Brook A. Emptiness and Omnipresence: An Essential Introduction to Tiantai Buddhism, 144-145. ^ a b Zeuschner, Robert B., The Hsie Tsung Chi (An Early Ch'an (Zen) Buddhist Text) Journal of Chinese Philosophy V. 3 (1976) pp. 253-268. ^ Taigen Dan Leighton, with Yi Wu. Cultivating the Empty Field: The Silent Illumination of Zen Master Hongzhi (Boston: Tuttle Publishing, 2000, revised and expanded edition; original edition published by North Point Press, 1991), p. 45. ^ a b Snelling 1987, p. 101-102. ^ a b Knibbe 2014, p. 46. ^ a b c Renard 2010, p. 157. ^ Comans 2000, p. 35-36. ^ a b Bhattacharya 1943, p. 49. ^ a b Sarma 1996, p. 127. ^ a b c d Comans 2000, p. 36. ^ Hiriyanna 2000, p. 25, 160-161. ^ a b c d Roshen Dalal (2010). Hinduism: An Alphabetical Guide. Penguin. pp. 388–389. ISBN 978-0-14-341421-6. ^ Stephan Schuhmacher (1994). The Encyclopedia of Eastern Philosophy and Religion: Buddhism, Hinduism, Taoism, Zen. Shambhala. p. 202. ISBN 978-0-87773-980-7. ^ Chittaranjan Das (1994). Bhakta Charana Das (Medieval Oriya Writer). Sahitya Akademi. pp. 9, 101–112. ISBN 978-81-7201-716-3. ^ Bettina Bäumer (Translator) (2010). Bhima Bhoi, Verses from the Void: Mystic Poetry of an Oriya Saint. Manohar Publishers. ISBN 978-81-7304-813-5. ^ Ringu Tulku 2005, p. 39. ^ Inada, Kenneth (Sri Satguru Publications, 1993) Nāgārjuna, a translation of his Mūlamadhyamakakārikā with an introductory essay: pg. 182. Bhikkhu, Thanissaro (trans.) (1997a), Cula-suñña Sutta, Majjhima Nikaya 121, The Lesser Discourse on Emptiness, Access to Insight, archived from the original on December 14, 2004 . Bhikkhu, Thanissaro (trans.) (1997b), Maha-suññata Sutta, Majjhima Nikaya 122, The Greater Discourse on Emptiness, Access to Insight . Bhikkhu, Thanissaro (trans.) (1997c), Phena Sutta, Samyutta Nikaya XXII.95, Foam, Access to Insight, archived from the original on October 13, 2017 . Yamamoto, Kosho (trans. ); Page, Tony, editor (1999–2000), The Mahayana Mahaparinirvana Sutra (PDF), Nirvana Publications, archived from the original (PDF) on October 19, 2013 CS1 maint: Extra text: authors list (link). Boruah, Bijoy H. (2000), Atman in Śūnyatā and the Śūnyatā of Atman, South Asia Seminar, University of Texas at Austin .